We can always count on Queen Rania for style inspiration, and since the weather has turned here in Dubai we can’t wait to embrace winter dressing –even if it’s just for today! 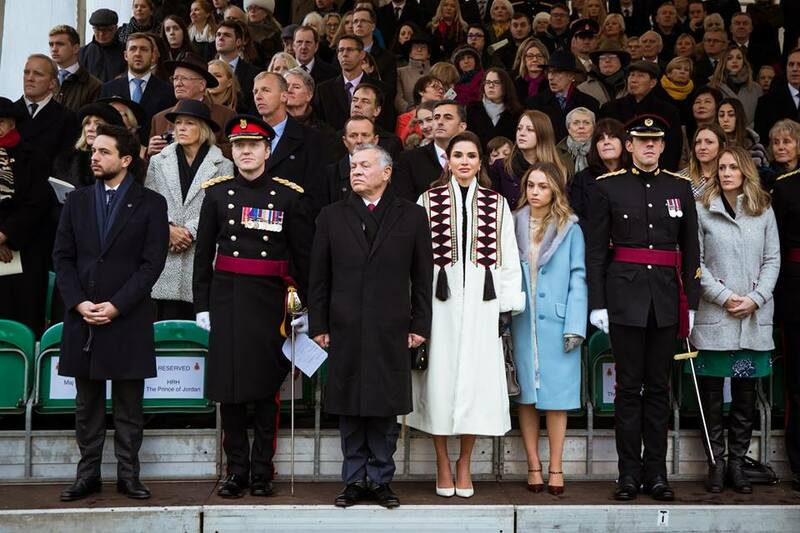 For Princess Salma’s graduation from Royal Military Academy Sandhurst, Queen Rania wore a 'farwa' from luxury Saudi label Abadia. The ethical brand is known for fusing modern design with traditional craftsmanship, as Queen Rania’s white sheepskin coat was sleek, yet timeless. Queen Rania frequently puts Middle Eastern brands in the spotlight, as she also styled a black studded bag from Egyptian label Okhtein. Exuding elegance, Queen Rania styled her winter coat with a long black dress, white pumps and black leather gloves. It’s unlikely that we’ll need a sheepskin coat in the UAE, yet we’re still taking note of Her Majesty’s winter wardrobe –just in case we book a snowy seasonal trip. We’re thinking European Christmas market break, the sheepskin design would be perfect! 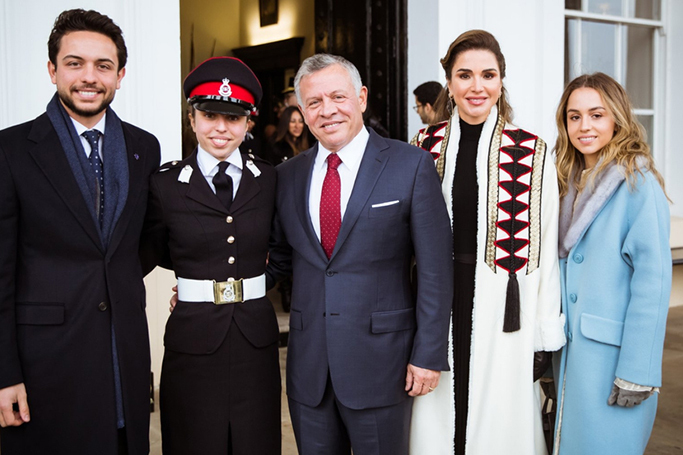 The Jordanian Royal Family proudly celebrated 18-year-old Princess Salma's graduation in the UK, with Majesty King Abdullah II, Queen Rania, Crown Prince Hussein and Princess Iman all in attendance. Queen Rania wasn’t the only royal with chic winter style, as we also loved the pastel blue hue of Princess Iman’s coat –which she paired stylishly with grey accessories.